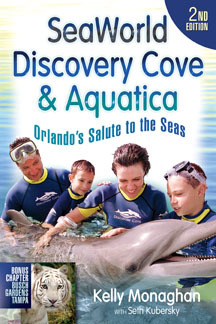 If you are staying at an off-site hotel, look into the Super Star Shuttle bus service that ferries guests at area hotels to Universal Orlando, SeaWorld, and Wet 'n Wild. There are about eight separate routes and hotels as far afield as downtown Orlando and the Route 192 corridor in Kissimmee participate in this program. The service is typically free to guests, but some hotels may charge a small fee. In theory, you must be a guest of a participating hotel to use this service, but this is seldom if ever enforced. Hotels near a pickup point cheerfully send their guests next door to catch the shuttle. Unfortunately, information on routes, schedules, and which hotels are currently participating is hard to come by. The best bet is to ask the hotel you are planning to book whether they participate in the program. Once at Universal Orlando, you can stop by the bus station between the parking garages and CityWalk to see which routes service which hotels. 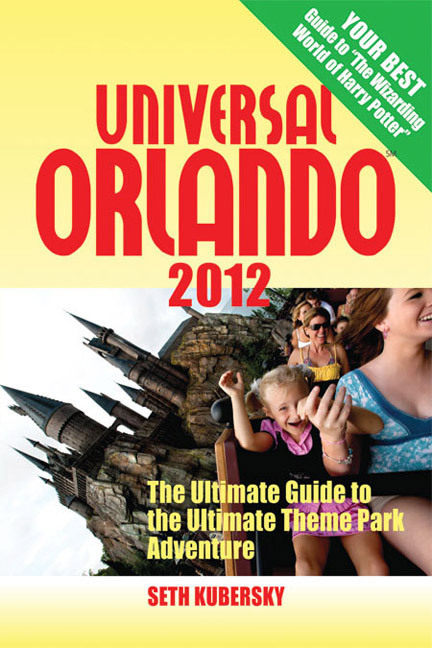 The service runs from the hotels to Universal Orlando all day, with fewer departures in the afternoon. Return trips don't start until about 4:00 p.m. You should be able to pick up a printed schedule from your hotel or the driver. If you are staying along the International Drive corridor, you can hop on the I-Ride Trolley to reach the corner of Kirkman Road and Major Boulevard (stop number five on the Main Line). From there, follow the walking directions given below. The trolley is $1.50 for those 13 and older and 25 cents for those 65 and older. Kids 12 and under ride free. Exact change is required. All-day and multi-day passes, which are a good deal, are available at many hotels and retail shops along I-Drive, but not on the trolleys. For more information or to view a route map visit www.iridetrolley.com. You can also reach the parks via public transportation; Orlando's Lynx buses cost $2, exact change required. A weekly bus pass costs $16. Route 21 links downtown Orlando with the I-Drive corridor, passes through the Major Boulevard hotel area (see Chapter Six: Staying Near the Parks), and stops near the Hub in Universal Orlando. Getting from the Walt Disney World area to Universal is tricky, but possible. Take Lynx Route 50 from Disney's Ticket & Transportation Center or Downtown Disney to SeaWorld and switch to the I-Ride Trolley. For more information, call (407) 841-5969 or visit www.golynx.com on the Internet. On the website you will be able to download maps of the routes that interest you. It is actually possible to walk to the parks and quite a few people do it. If you are staying at one of the hotels located along Major Boulevard on the Kirkman Road side of the property (see Chapter Six), you can reach CityWalk in 15 to 30 minutes, moving at a purposeful pace. From Major Boulevard, follow the signs for valet parking and you will find an escalator that takes you to CityWalk. If you are staying on the other side of I-4, at a hotel near Universal Boulevard and I-Drive, you are looking at a much, much longer walk. Coming from this direction, use the escalator leading up from the bus station. 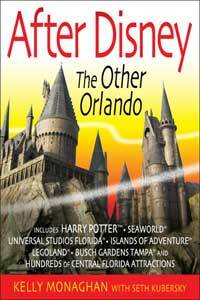 If you are staying at an on-site resort hotel (See Chapter Five: The Resort Hotels), you can use the free water taxis to CityWalk or the shuttle buses that drop you near Universal Studios Florida. You can neatly solve all your transportation problems by taking a taxi, van, or limo from the airport and staying at an onsite hotel for the duration of your stay. Quicksilver Limos (888-468-6939) is a small local firm that provides town car and stretch limo services. They will stop en route to let you stock up on groceries and such for your room and they offer an innovative "three-way" option. They will take you from the airport to Universal, then a few days later from Universal to Walt Disney World, and finally back to the airport, all for $155. For a family of four, it's a bargain for the convenience and comfort. The website, www.quicksilver-tours.com, has a full price list. Otherwise, Mears Transportation offers walk-up shuttle van service from the airport for $32 round trip per person, $24 for children 4 to 11. No reservation is necessary. Taxi fare from the airport runs $40 to $45. Staying at one of Universal's resort hotels without the temptation of a car is a great way to maximize your vacation enjoyment. If you are staying on in Orlando, you can always rent a car in your hotel at the end of your stay.